Just a short video I made from the footage I shot of the total solar eclipse over North America on Monday (Aug 21). This was filmed under mostly cloudy skies in north central Indiana, outside of the path of totality, so it’s only a partial eclipse from this viewpoint. The clouds worked both for and against me, making for some great moody imagery while also causing the sun to appear fuzzy and out of focus. Overall, it was a cool experience. In 2012, the US Department of Veteran’s Affairs estimated that an average of 22 veterans committed suicide every day. Recent estimates place that number closer to 20 a day, and while that represents a decline, it is still 20 too many. The -22- project is something I was invited to participate in as a photographer, specifically to help create a series of photos representing the struggle that many veterans face after returning from the battlefield. The ultimate message of the project is two-fold: to remind combat veterans to do a commo check and call a brother, and to bring greater awareness to the public at large of a legitimate social crisis while giving family and friends an intimate look at the kinds of battles their Soldiers, Sailors, Airmen, and Marines may be fighting even after coming home. Visit http://novavox.thestormworks.com/project22.html to learn more and to see the complete photo series. 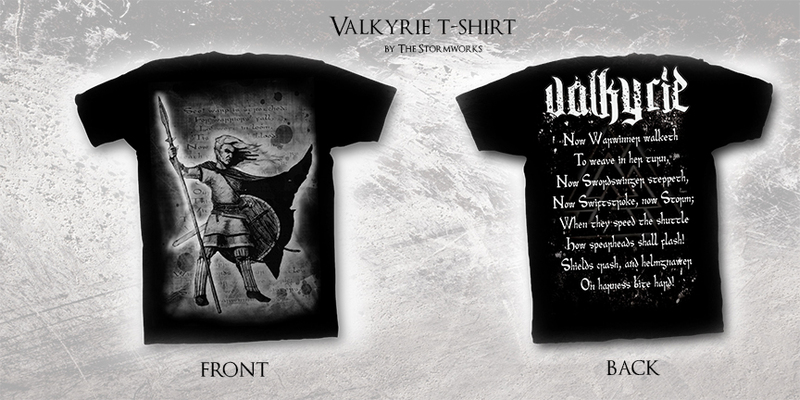 I’ve made this “Valkyrie” (or Norse female warrior) t-shirt design available on Teespring.